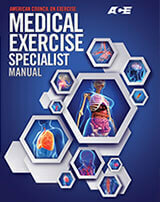 Immersed in the very latest exercise and behavior-change science. Prepared to inspire confidence among future employers and consumers. Equipped with the real-world job skills to achieve and sustain a thriving career because of the world-class preparation your institution provided. 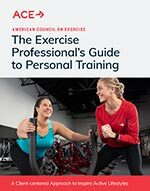 Partner with ACE to ensure the exercise professional and health coach education and certification you offer prepare your students with the relevant knowledge necessary to thrive. 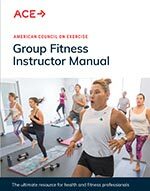 We offer free curriculum and more to ACE program facilitators, all to help get more people moving. ACE has cultivated long-lasting relationships with institutions nationwide. 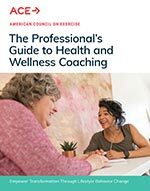 In addition to providing quality, NCCA-accredited programs that help students acquire the knowledge and skills to begin careers in health and fitness, ACE provides a number of benefits to educational partners. You can host exams, pass on savings to students, and utilize our step-by-step lesson plans. 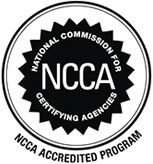 We welcome qualified instructors to teach any of our NCCA-accredited certification programs, in the rec center or in the classroom. If you are already an educational partner, you can access corresponding presentations and handouts in your ACE Education Partner account. ACE offers special discounted materials for your students. You can also extend that price to other faculty or on-site recreational centers at your institution. If you're interested in getting your recreation center's staff or members of your faculty tools to earn an ACE Certification, please submit a request.